"The Bees are Back in Town ... "
This little guy made it through the netting to get to the borage nectar and, having checked around for further goodies (interestingly, didn't stop at either the rosemary flowers, the broad beans, the violas or the strawberries), he then zoomed off back through the netting. Isn't nature amazing? Borage flowers are one of the unmistakeable signs of summer. Borage is one of the prettiest summer herbs with both edible and medicinal uses and easy to grow from seed. Once pollinated, the flowers develop large black seeds (the size of peppercorns) - be quick to gather these if you don't have the space to let the plant self-seed. Growers of the herb know that the flowers can be frozen in ice-cubes and used to glam up summer drinks; they have a slightly sweet cucumber flavour that goes particularly well with Pimms, that quintessential English drink favoured by Wimbledon devotees. In her book 'Good Enough to Eat', Jekka McVicar suggests sprinkling the flowers into a salad, crystallising for decoration on cakes or adding to chilled summer soups; she has a nice recipe for mixing the flowers (stamen and pistils removed) with creme fraiche and layering this with a fruit purée for a lovely summer pudding. 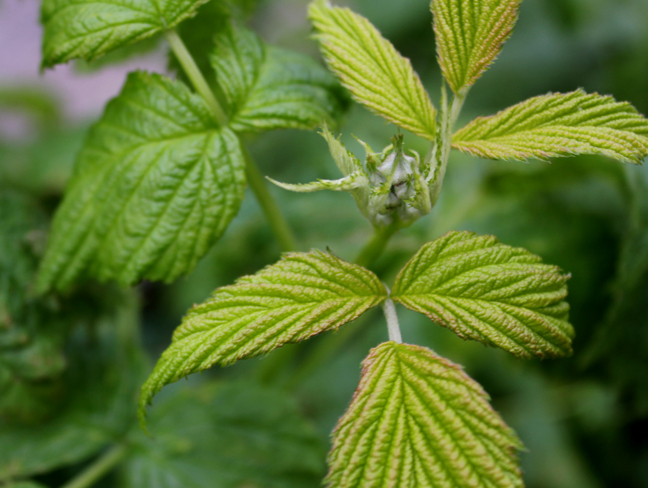 The whole plant is edible: freshly picked young leaves have a salty cucumber taste and can be eaten as part of a salad, or with cream cheese and tomatoes in sandwiches. They're very bristly so are best chopped finely and mixed with other leaves if you're going to use them for this. Both leaves and flowers can be used to make a nice refreshing tea which is said to have a slightly diuretic effect (not dissimilar to normal tea or coffee). This is the same plant which is elsewhere known as Starflower (you can see why) and whose seeds have a high concentration of Gamma Linoleic Acid, a valuable oil used to regulate female hormones. For me though, it's best use is as a companion plant. Bees absolutely love it so it's a great herb to grow next to your beans for an increased yield. It's also attractive to blackfly which could be off putting unless you grow some as sacrificial plants. 24 hours of sunshine later and warmer temperatures have coaxed the flowers out, first pink then turning a beautiful deep blue. I have gardener Naomi Schillinger to thank for these seeds. I admired the borage growing in her garden last summer and she swiftly removed a handful of seeds and popped them in an envelope for me. Naomi has done marvellous work with her neighbours' front gardens and the tree pits in her local streets; check out her inspirational blog or if you can get to North London, she's participating in the Chelsea Fringe. The broad beans are also beginning to flower and I'm on blackfly watch for the broad beans in the veg patch. I spotted a couple on one of the plants this afternoon but I'm afraid that aphids are building in numbers elsewhere - I just hope that the ladybirds can keep up with the feast! For some reason, I thought that my pink Karmazyn beans would produce pink or red flowers but, no... Unless something dramatic is about to happen to these creamy buds! I only just started to sow my seeds at the end of March. Does this make me badly organised? Maybe, but hopefully not. Remembering that last year the early warm weather was followed by cold, wet and windy weather before we properly got going with the British Summer, I decided to delay so that I didn't have to keep plants hanging around indoors. Last year I nurtured beans and sweetcorn inside, hardened them off and planted them out in early May; I lost the lot that very night due to gales and lashing rain. This year I'm determined that my work won't be wasted; seeds for my Lab Lab (Hyacinth) beans went into modules on Monday, germinated Wednesday and are unfolding their first leaves today. Impressive. It's the same story with the round cucumber, Crystal Lemon, that I'm growing. This is Lazy Housewife, a heritage bean donated to the veg patch by Matron over at Down on the Allotment. She very kindly sent half a dozen beans last year, all of which were killed in the aforementioned May gales. I was dismayed and not a little disappointed that I'd wasted these precious beans. Amazingly, going through my seed box a few weeks later, I found one last seed in what I thought was the empty packet. I carefully sowed it and it germinated successfully. I planted it out and managed to kill that one as well (I stuck one leg of the wigwam through the root *hangs head in shame*). So that was that, then. My second chance was blown... or so I thought until I looked again this year and saw, like Mary Poppins carpetbag, that the packet had offered up one last bean! This one has to work; as a heritage bean, I really want to have some seed to keep at the end of the year. I'm keeping a very careful eye on it... it's looking good so far, don't you think? Edited to add: Although this sounds like quite a lot of work has been going on, this is by no means the full list. I forgot to mention the sweetcorn, blue popcorn and red/white/blue sweet peas I'm growing and I've yet to go back to the seed box to see what needs to be sown in the next round - better get going then! While I try and squeeze a few moments to write up my notes about my trip to Jekka's herb farm, I wanted to share a little bit of magic going on in the herb patch: free cherry trees! I almost didn't see this tiny seedling as I weeded under the cherry tree but my eye was drawn to the two halves of a cherry stone lying on top of the soil and it dawned on me what the seedling must be. I stayed my hand and placed a marker stone to remind me where the seedling was. Several weeks later and the little tree is now 3 inches tall with four true leaves. There are a couple more 'trees' that have popped up and will be similarly nurtured. My first foundling has been potted up, ready to be taken to the school gardening club this Friday and will eventually be grown in the school's raised bed in the kitchen garden at Lauderdale House in Highgate. The example above reminds me that every seed wants to grow, given the right conditions and freshness, and every plant is genetically programmed to propagate itself. Even in an urban environment it wouldn't take long for nature to take over. There's a copse of Victoria plum trees growing alongside a lane near my parents' home; its origins lie in the fruit falling from trees in a private neighbouring garden. 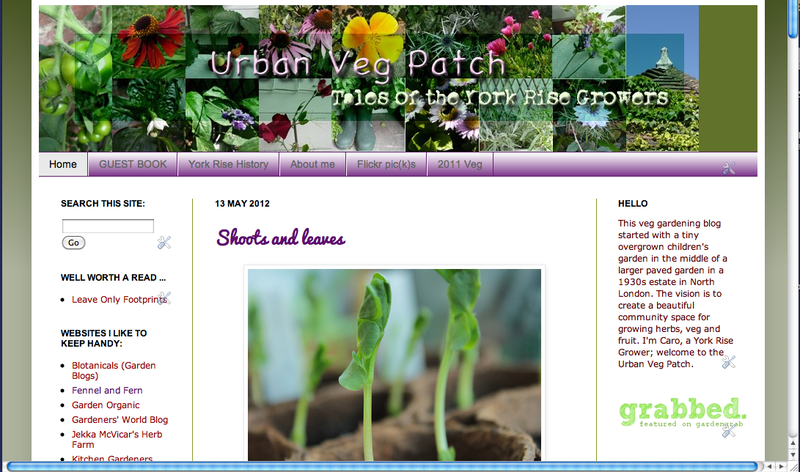 If I left the York Rise veg patch alone this year, growing in between copious amounts of weeds (chickweed, dandelion, daisies - all edible; goosegrass, couch grass, thistles - not, unless you're a donkey) would be red orach (mountain spinach), sunflowers, nasturtiums, potatoes, horseradish, calendula, nigella and monarda. Every one of them is self seeded. Even the autumn raspberries have spread a bit too enthusiastically, sending out runners where they shouldn't. Earlier in the year I pulled several out while tidying round. Obviously I didn't get them all because there are more than half a dozen raspberry canes still flourishing in the bed used for last year's courgettes. Don't make my mistake: I thought these runners were suckers which stole energy from the main plant; I've since learned that they can be moved and grown as new canes. More free plants! Now that's magic! Despite the grey skies over the veg patch, close inspection reveals that things are surely happening. A little pootle around the patch yesterday evening revealed a glimpse of the glories to come in the months ahead. Having grown Tom Thumb (orange) and Milkmaid (creamy white) nasturtiums last year (some of which are already creeping back again), I was very taken with the variety in the photo above called Blue Pepe; the colour combo of blue/purple/green leaves is a favourite and will be jazzed up with bright red flowers in due course. When I can, I love to grow veg that are one step removed from what's expected and these will do nicely! Entirely edible, too - I'm planning some fabulously stylish salads this year! I've growing purple carrots, rocket, red crisphead lettuce, red orach, pink broad beans and bull's blood beets to add to the salad list - not only will my food be colourful and tasty, I'm giddily excited at the prospect of it all, which is the fun of growing your own! It's a bit late now but I wish I was taking part in VP's salad challenge! 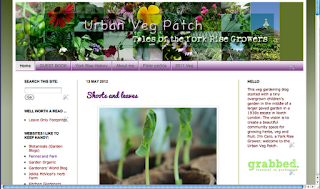 Writing about the veg patch last year, I was using words like 'herbalicious' and 'lush' and reporting conversations with the children here as everyone crept out of their winter hibernations and started looking forward to the summer harvests. The weather this year has meant that it's been tricky to get started properly. Early spring gave us warm days and very cold nights - hopeless for sowing! - then... well, need I say it? Wet. I'm behind with sowing because, before I can put anything more out, I need to fence off all the beds and borders against unwanted intruders of the four legged kind; there's been a lot of nocturnal digging and *shudders* toilet-ing going on in the garden. The cauliflowers seem to be a popular spot, thank goodness for long stems. Newly planted herbs have been tossed around, carrots and potatoes have been disturbed in their pots and sacks. It's too frustrating. The onion bed has survived because I made a little plastic netting fence for it. Very fiddly to make but, so far, effective. The broad beans are also surviving but are covered in chicken wire which is a bit hazardous - both for small children and foxes' noses, I imagine. The brassicas are being left alone, even by the pigeons, although I popped wire cages over the cabbages, just in case. So, with all this mayhem going on in the garden, I'm pleased that I've been able to enjoy several very tasty veggie suppers. The basket above shows kale, tenderstem cauliflower, sprout tops and sprout shoots. Chopped, sliced, steamed, seasoned and buttered, they've filled the hungry gap very nicely.